On average, a business in the U.S. has about a 12% chance of being involved in an employment lawsuit. California has very aggressive employment and discrimination laws that increase the chances of litigation for businesses operating in our state. 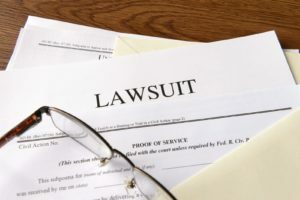 In California employers have a 40% chance of being sued by an employee according to the latest statistics by the EEOC. Any worker who feels they have been discriminated against by their employer can go to the U.S. Equal Employment Opportunity Commission (EEOC) or the equivalent state fairness agency. The average days in litigation is 285 and 20% of these get settled prior to any court proceeding. The average cost per incident (out of court) in 2015 was $125,00 according to the EEOC. The average court settlement runs about $225,000 with 20% or more averaging $500,000 or more.